Pamela came to the Goodwill Welcome Center through the Jewish Foundation Center (JFC). The Welcome Center not only connected Pamela with a paid work experience at Goodwill, but also with resume assistance and financial help. The Welcome Center also helped connect Pamela with other agencies that have been able to provide additional assistance, such as the Urban League and Neighborhood Allies. 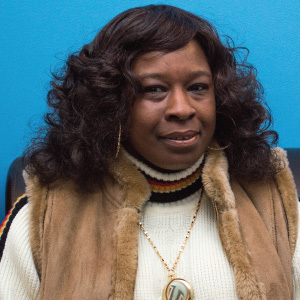 The Welcome Center has given Pamela a renewed sense of self-esteem and has helped her believe that she can accomplish her goals and build skills for the future.